One of the best ways to protect yourself and your family while in the water is to wear a life vest, which will ensure that your head stays off the water in case of an accident. When you go out in your kayak your safety should come first. You will particularly want to get the best kayak fishing life vest to keep you comfortable and safe in your kayak. However, it can be difficult to find the best kayak fishing vest when looking for a large collection in a store or online. You must understand some of the basic aspects of a good kayak life vest to be able to choose one that suits your kayak needs. The following are some of the basic features of the best kayak fishing life vest. Life vests are certainly important to your survival while kayaking, but they are also made to be comfortable. 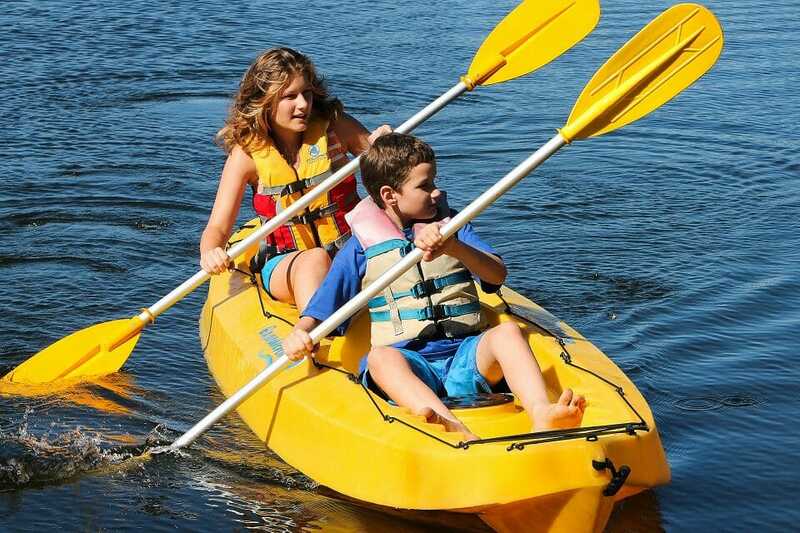 The best kayak life vest will have adjustable straps so that it can be tightened or loosened for a snug fit. It will have thinner foam or mesh in the lower back for the kayaker seated in a small seat in the kayak. It will also have reflective tape on the front and top so that the kayaker can be seen from afar. The weight of a good kayak life vest is one of the first things you should consider before making a purchase. Don’t forget that a heavier life vest will often look high quality, but it will also result in fatigue after a long day of kayaking. 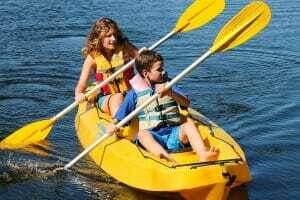 Kayaking can be a great physical activity; so you should go for a life vest that is light enough to not tire you. You will have to consider the average length of your kayaking tours and plan your life vest weight around this to make sure you don’t end up weary at the end of the day. The material used in making a kayak life vest will affect its performance and price. Most of the time, the exterior part of kayak life vest is equipped with synthetic material, such as polyester because it is flexible, affordable and water-resistant. The interior of a kayak life vest will generally be made of foam, and the type of foam will determine exactly how buoyant your vest will be. Various types of life vest will be designed to help you float in different circumstances. Is the Life Vest Comfortable? The next thing you want to look for in the best kayaks life vest is the appropriate degree of comfort. You need to be very comfortable if you are wearing the vest for a long time. The materials used in the production of life vest will affect how comfortable it is. Some kayak life vest has a mesh designed to make them more endurable in hotter environments. Finding the best kayak fishing life vest is not as challenging as it seems when you consider everything we’ve mentioned above. We hope our blog post can help you decide on the best kayak life vest when next you are buying this life-saving equipment.